Sales are great for boosting sales in the short-term, but there is a risk that retailers can become too reliant on this tactic. In this post we look at how retailers can use discounting more sustainably. People like a bargain, and retailers know that they can grab customers’ attention with a sale event or other special offers, but there can be drawbacks to this tactic. The biggest problems are the negative effects on profits from discounting, and ‘training’ customers to expect regular discounts. Indeed, 53% of retailers surveyed recently by Klarna said that the ‘always on’ nature of sales was having a negative impact on profits. The same survey also found that 57% of shoppers now expect regular sales, though 38% say that constant discounts make a brand seem cheap and unfashionable. Gap is one retailer that seems to be hooked on a discounting strategy. I’ve had 12 emails advertising discounts in the past ten days. Having so many sales and special offers dilutes the effect of these marketing messages, while sending such a volume of emails is likely to have some looking for the unsubscribe link. Also, it makes people less likely to buy at full price, and also makes the ‘normal’ price of products seem high by comparison. Some retailers can get stuck in a cycle of discounting, which can be hard to escape. Once your customers have been trained to expect reductions, it’s hard to reverse that expectation. As Kevin Hillstrom points out on his blog, the healthiest retailers discount less frequently and less generously. There is pressure on retailers to discount though, especially around key retail events like Black Friday. The vast majority of retailers offered some sort of promotion around Black Friday 2017, thanks to the sheer amount of customer interest in the event. Some did so reluctantly though, and many feel it forces them to discount too early in the Christmas shopping season, affecting overall profits. Discounting is a conundrum for retailers, but there are ways to use discounting without too much damage to margins, or brand perception. Using incentives like gift vouchers can be a good alternative to discounts. 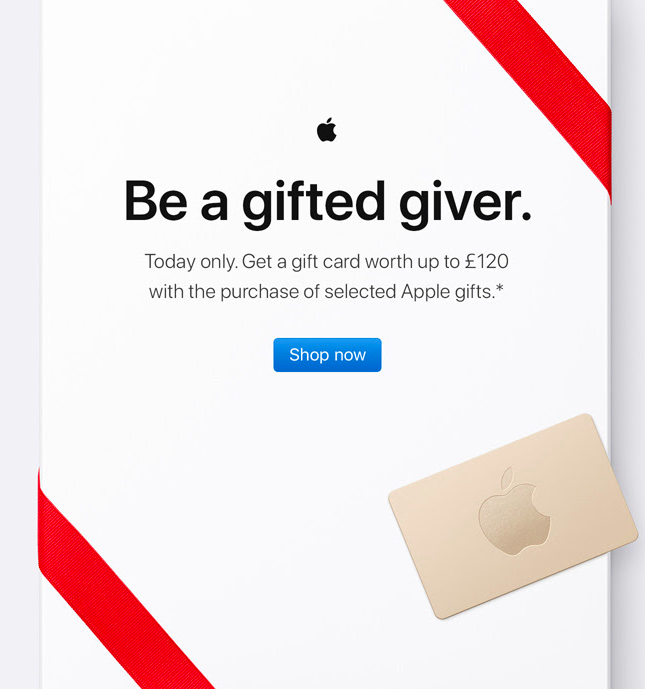 For example, this email sent by Apple on Black Friday offered a gift voucher with every purchase, to be redeemed in future. This means people are still making the intitial purchase at full price, and also gives them an incentive to return and but again. ‘Always on’ sales, unless they’re specifically to offload unwanted stock, will train customers to always expect a discount. For example, I wouldn’t buy from some pizza chains without a voucher, as they’re always available if you look for them. 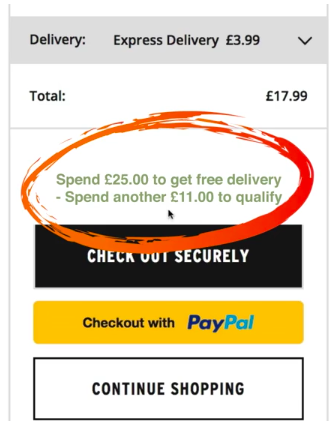 This doesn’t mean that Pizza Express and others are wrong to do this – they may still be making a good profit at these reduced prices and driving more people to their restaurants through these offers. However, some retailers may become trapped within such a strategy, so it’s a good idea to have sales only for limited periods of the year, so that this still remain special events in customers’ minds. It’s easy to follow suit when rivals are offering generous discounts around sales events like Black Friday, but it’s important to keep an eye on the numbers. 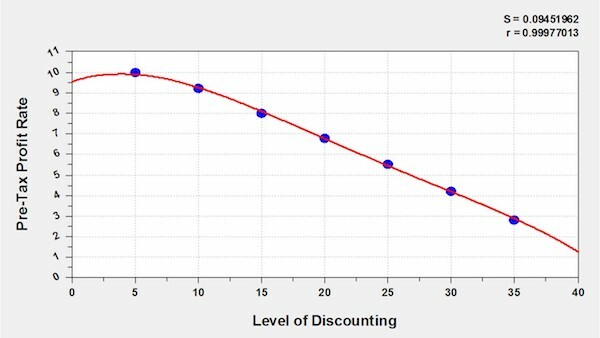 If the extra margin you make from the uplift in sales does not offset the discount you put on products, events like Black Friday can diminish your profits. For instance, products could be bundled together so that shoppers buy accessories and related products to make savings. Instead of discounting products, retailers can use free delivery as the carrot. This reduces the risk of making full-price seem expensive to shoppers, but also gives them the sense that they’re getting a good deal. 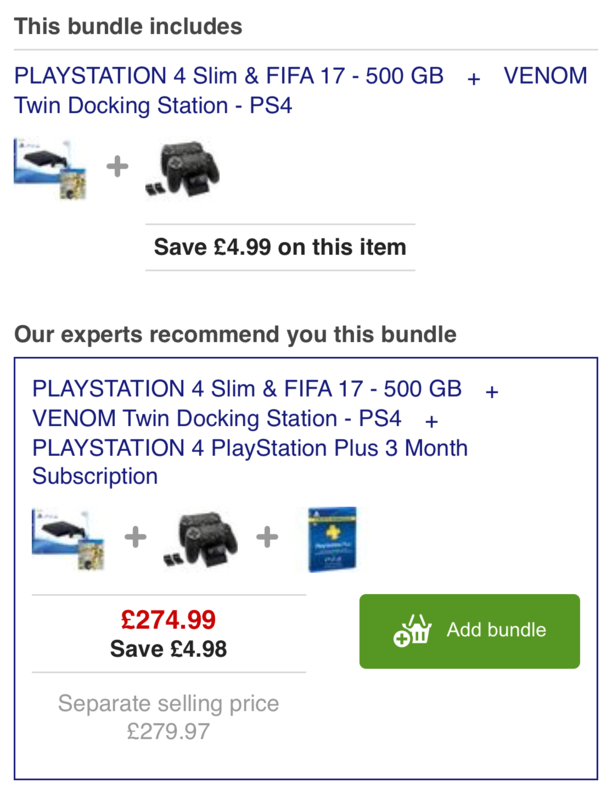 It also helps to increase order values, as people are tempted to add more items to their carts to qualify for the offer. There’s nothing wrong with discounting as a strategy, and many customers want this, but it’s all about making it sustainable.